The Dragon Book is a surprise for me in the sense that it's actually part of an anthology series from Jack Dann and Gardner Dozois. Labeled as "Magical Tales from the Masters of Modern Fantasy," this is the second in the series, the first being the much-praised Wizards. I was initially skeptical of the book, especially since in the preface, the editors mention that their theme centered more on Western dragons. 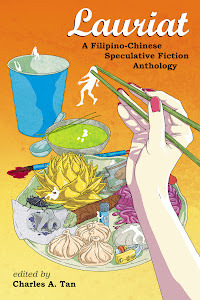 My first impression of the anthology was similarly clouded: no doubt this book was enjoyable and funny, but at first glance, it seemed to lack a certain gravity. In retrospect however, this is a much tighter book. While not every story is memorable, they aren't disappointing either and rise beyond competency. There is also the language as each story is accessible and feels like it would appeal to both young and adult readers. And then there is the humor. While not every piece strives to be funny, those that do aren't one-note pieces nor do they fall into the trap of sounding ridiculous. What eventually swayed me to praise the The Dragon Book are the quality of some of the stories. Narratives that set themselves apart include "Are You Afflicted with Dragons?" by Kage Baker, "The Dragons of Direfell" by Liz Williams, and "After the Third Kiss" by Bruce Coville. However, there are three pieces that really stand out for me. The first is "Vici" by Naomi Novik. Now Novik is best known for her Temeraire novels, but in the past two years, she's proven herself equally--if not more so--adept in the short story format with her inclusion in anthologies like Fast Ships, Black Sails and The Improbable Adventures of Sherlock Holmes. It makes me wish somebody would hand her a contract to write a short story collection. Going back to "Vici," Novik hits all the right spots: convincing characterization that is accompanied by a distinct voice, a serious plot that isn't overwhelmed by the humor, and foreshadowing that catches you off-guard when you read the ending. To me, this story best exemplifies the best of what The Dragon Book could have been, and while the other stories hits one or more of those elements, "Vici" captures them all. "The Tsar's Dragons" by Jane Yoel and Adam Stemple, on the other hand, is ambitious, and that for me is surprising considering the previous collaborations of the two are awfully short. As can be surmised from the title, there's a definite Russian flavor to the piece, whether it's the setting, the language, or the cultural icons included in the story. What I want to highlight here, however, is the characterization. It's probably more fitting to say that the story focuses on the antagonists as opposed to the protagonists, but you understand their motivations either way. You're not rooting for any particular side, but the events hook you and make you curious as to how this will all turn out. Each point of view is distinct and quite developed. 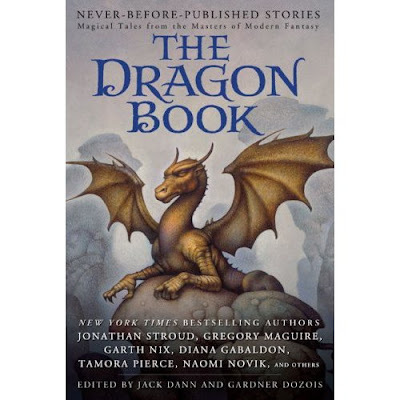 The third story I'd like to highlight is "Oakland Dragon Blues" by Peter S. Beagle. Now as many reviewers have mentioned, Beagle in recent years has been on a short story renaissance and "Oakland Dragon Blues" is no exception. I praise this story for the same reasons I praise Novik's "Vici": the story has a distinct flavor whether in setting or in characterization, the comedy flows organically, and the ending feels satisfying. Whereas Novik's stories is set in some alternate Earth, Beagle is a master of urban fantasy and this one is reminiscent of The Last Unicorn in the sense that incorporates metafictional elements to it, although it's less subtle here. Again, there's no bad story here, and while there are certainly pieces that don't leave a strong impression, the stories that do stand out are worth the price of admission. For me, the gem of The Dragon Book is how some of the stories manages to be genuinely funny, without sacrificing plot or character.